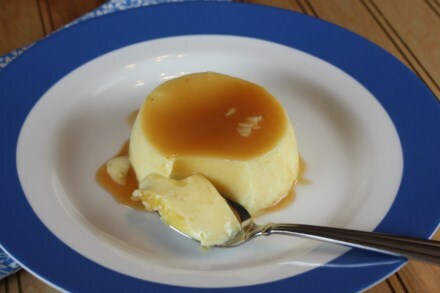 Flan is often thought of as a time consuming and difficult dessert to make, but the flan recipe that I have for you today is so quick and easy that it is pretty much foolproof. 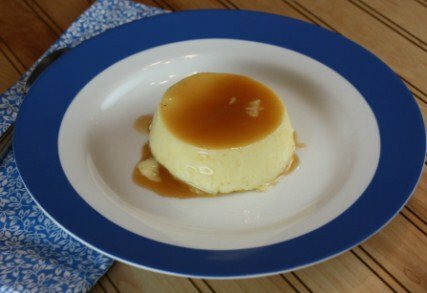 This caramel flan is an impressive dessert that anyone can make. In a bowl beat eggs. Add sugar, vanilla, and salt. Whisk together and slowly add milk until well combined. Place custard cups in a 9×13 pan and divide egg/milk mixture evenly among the cups. Fill 9×13 pan with about 1 inch of hot water. You do not want to pour this in the custard cups, just the outer 9×13 pan part. You are creating a water bath here. Bake at 350 degrees for 30-35 minutes or until center is almost set. You want this to be slightly jiggly in the center. Remove custard cups carefully from water bath and let cool. Once cool, refrigerate for several hours. Once chilled completely through, carefully invert custard cups and unmold the custards onto a plate. Thank you for the tip! Melting the sugar is the most time consuming for me because I always burn it on first attempt all the time.. grrr.. as for the custard, eggyolks / condensed milk / evap milk is fool-proof. I’ve been using the mix for more than 10 years and it never failed me.